Turmeric powder or even fresh roots is included on a regular basis in the Asian diet. For example in India, in a single meal you would find at least 3 dishes that contain turmeric powder or as it is known here ‘haldi’. 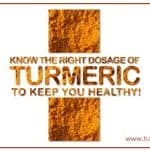 Since it is such an important dietary constituent it goes without saying that turmeric in diet is safe. 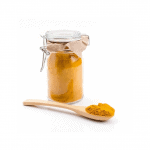 However we cannot rule out chances of allergy or risk of heavy metal or other contamination in turmeric powder. Curcumin supplements are derived from turmeric powder. 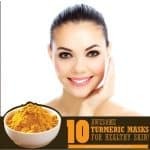 Turmeric as a spice contains 3-4% curcumin approximately while curcumin supplements are a pure extract of curcumin and contain a much larger concentration of curcumin and curcuminoids. 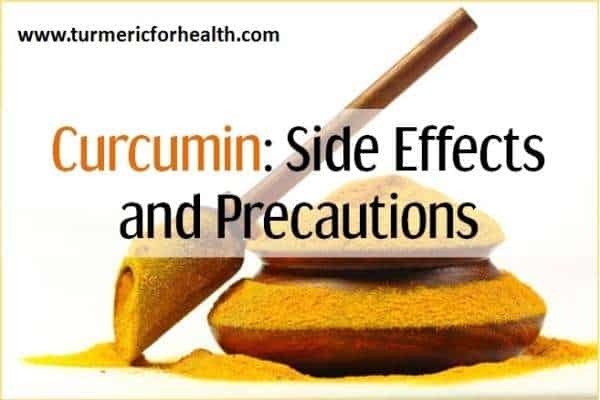 This brings forth the question as to how safe is such large concentrations of curcumin and for how long can they be safely consumed. How to reduce the side effects associated with curcumin supplements? Various clinical trials have investigated the safety and efficacy of curcumin supplements in various health conditions and the results have been positive for a significant proportion with no or minimal toxicity. A dose escalation study of curcumin was published in BMC Complementary and Alternative Medicine, 2006 . 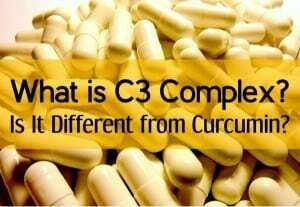 This study was conducted to identify a single high dose of curcumin C3 complex that was well tolerated by healthy individuals. Dosages were as follows: 500mg, 1000mg, 2000mg, 4000mg, 8000mg, 10000mg and 12000mg. Doses up to 8000mg did not lead to curcumin levels of detection in the blood. However, at a dose of 10000 and 12000mg curcumin was detected in the plasma of two individuals. Each of these were said to be of minimal grade and not dose-related. Only 4 individuals experienced such side effects and scientists concluded that these were unlikely to be related to the treatment. The gastric side effect could have been a result of lack of curcumin absorption in the intestine. However oral curcumin was detected in the blood plasma in the form of metabolites or curcumin conjugates. Klickovic et.al conducted a study to understand the absorption of curcumin and to assess its effect on an enzyme heme oxygenase-1. Heme oxygenase-1 is found to mediate anti-inflammatory and antioxidant effect. 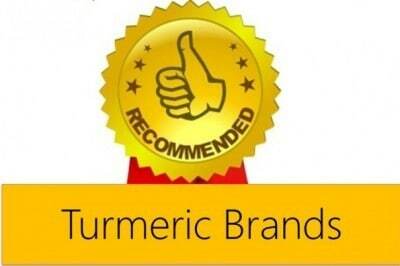 10 individuals received 12g curcumin. It was found that oral curcumin had low bioavailability and did not increase heme oxygenase-1 production. However, no adverse events were noted. 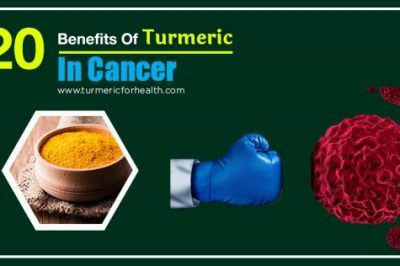 Moving to the formulated versions of curcumin, a study reports that high dose Longvida or solid lipid curcumin (2-4g) does not cause any significant side effect in healthy as well as cancer patients. A 500mg dose of micronized curcumin (micron sized particles of curcumin) and micellar curcumin (curcumin trapped in micelles or pockets of liquid colloid or detergent) is found to be safe in healthy individuals with better bioavailability than unformulated curcumin. Theracurmin, a nanoparticle formulation of curcumin, is found to be relatively safe at doses of 150 and 210mg. The only adverse event reported at a dose of 150mg was grade 1 diarrhea in 1 individual. 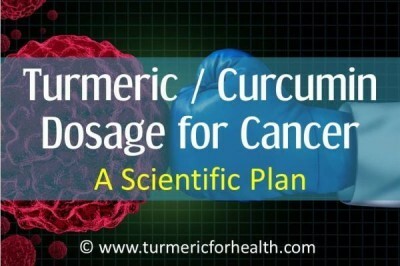 Many studies have evaluated the safety of curcumin supplements in cancer treatment as well. A study investigated the effect of curcumin (dose 0.45 g -3.6g) in advanced colorectal cancer and no dose limiting toxicity was observed. Irving et. al conducted a similar study where they investigated the chemopreventive potential of curcumin and their study reported mild gastrointestinal adverse events at a dose of 2.35g of Curcumin C3 complex. The phase I study by Kanai et.al which involved patients receiving gemcitabine chemotherapy found that higher doses of Theracurmin does not increase the incidence of adverse events in cancer patients and was found to be safer for a period more than 9 months. Single high dose of curcumin supplements are found to be safe. Minimal side effects are observed, mostly those that involve gastric discomfort, and these are observed at high doses of curcumin. Curcumin supplements are found to be safe in healthy as well as diseased individuals on short term as well as for periods as long as 6-9 months. 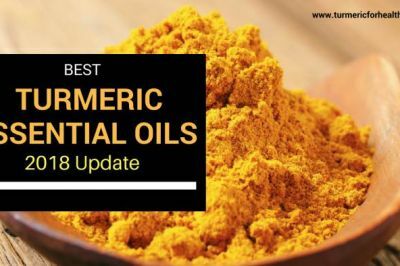 As we have gone through the various studies in humans that have assessed the effect of curcumin, the most common adverse event noted was gastric discomfort such as diarrhea, yellow stools. This can occur as a result of the sudden consumption of high dose curcumin. Inadequate digestion and absorption of curcumin can cause gastric discomfort. Start with small doses and continue these doses for a week. If no side effect is observed, then increase the dose gradually. Avoid taking curcumin on an empty stomach. When taken with meals, the dietary fat increases absorption. If experiencing gastric discomfort on high dose curcumin, reduce the dose. 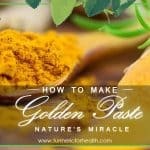 If you still experience gastric discomfort, switch to dietary turmeric or Golden Paste. Some individuals may be allergic to turmeric or yellow food products. Such individuals should avoid using turmeric or taking curcumin supplements. Allergies are evidenced by skin reactions, rashes or extreme gastric discomfort. 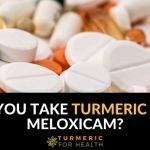 Before diagnosing yourself with an allergy to turmeric or curcumin, rule out the possibility of contaminants or heavy metal toxicity in turmeric powder or curcumin powder/supplements that may elicit an allergic reaction. 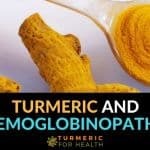 Curcumin in turmeric is proven to have an anti-coagulant effect in animal models. This is beneficial in thrombosis like conditions as it can help prevent clot formation. However it is advised if one is already taking blood thinners like warfarin or clopidogrel , one should avoid curcumin supplements as it may have an additive effect and increase bleeding risk. However, no evidence confirms this. Also if prone to bleeding risk, then one should avoid curcumin supplements. Again there is no study that confirms this or notes increased risk of bleeding in humans after curcumin consumption. 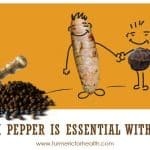 Dietary turmeric is not likely to pose this issue; but in this case it is best to consult a health practitioner prior. Here are a couple of precautions to be noted about curcumin supplements. As mentioned previously curcumin has anti-platelet or anticoagulant property. (Read Is Turmeric A Blood Thinner?) Curcumin supplements are highly concentrated versions of curcumin and hence may increase bleeding risk. Though not proven in human studies; it is advisable to avoid curcumin supplements in a bleeding or clotting disorder and if taking blood thinners. Due to curcumin’s anti-platelet activity, it is advised to discontinue curcumin supplements two weeks prior to any surgical procedure to minimize and avoid bleeding risks. Studies report that low dose curcumin can cause gallbladder contraction in humans. (Read Is it safe to take turmeric if suffering from gallstones?) 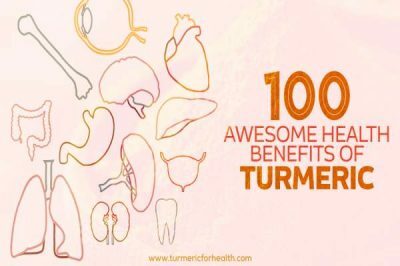 40 mg curcumin can bring about 50% gallbladder contraction. Now this action of curcumin is beneficial in preventing gallstone formation. However if already suffering from gallstones or bile duct obstruction, a contraction of this sort can cause severe pain. Therefore it is advised to avoid curcumin supplements in gallstone or gallbladder obstruction. Now, this precaution does not stand for curcumin supplements, but its mention is noteworthy. Turmeric as a spice is high in oxalates and hence it should be avoided in case of gout or if one is susceptible to developing kidney stones. However, curcumin supplements are extracted and purified to a level that oxalates are minimal and non toxic. Therefore for therapeutic purposes in case of kidney stones and gout, it is advisable to take curcumin supplements over turmeric as a spice. For more details on this read: Does Turmeric Cause Kidney Stones? 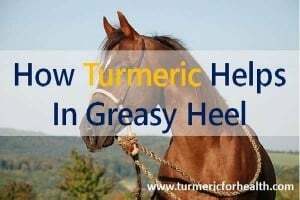 Is it safe to take Turmeric In Gout? No study till date establishes the safety or even side effects of curcumin supplements in pregnancy and lactation. Traditionally turmeric is said to be a uterine stimulant. However Asian women continue consuming turmeric in diet even during pregnancy and lactation. Dietary turmeric would constitute to less than or around ½ tsp of turmeric powder in a day. It is safe to consume dietary turmeric in pregnancy and lactation. Avoid curcumin supplements in such a case. Various studies have reported that curcumin interacts with drug metabolizing enzymes. However, studies have shown that cucumin taken in combination with certain medications does not cause any side effects; but it increases the concentration of the medication in the blood. This ideally increases the therapeutic efficacy of the medication but on long term such high levels may cause side effects. Also, it is important to note that curcumin does not affect the activity of the medication or result in production of a new compound. Also, piperine (active constituent of black pepper) interferes in drug metabolism. But some researchers do not agree with this and state that short term use of curcumin piperine combination is unlikely to result in any herb drug interaction. It is best to maintain a 3-4 hour gap between taking curcumin supplement and any medication. It is advisable to consult a health practitioner before taking curcumin supplement. Minor adverse events as a result of taking turmeric can be overcome with the following steps. In case of major events please discontinue use of turmeric or consult a health practitioner. If taking curcumin supplements consult a doctor prior to taking it. If experiencing side effects on curcumin supplements switch to dietary turmeric. Reduce the dose of curcumin supplement and observe if the adverse event is mitigated. Avoid taking curcumin on an empty stomach. Avoid taking curcumin supplement close to the time of taking medicines. Maintain at least 4 hour gap. If neither the powder or supplements suit you, opt for fresh turmeric roots in the diet. In case of serious side effect, immediately discontinue use of turmeric. 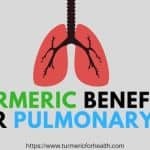 Dietary turmeric is found to be safe and similar results have been depicted regarding curcumin supplements by clinical studies. The commonly noticed side effect of curcumin supplement is gastrointestinal discomfort such as diarrhea or yellowing of stools. This can be mitigated by starting with low dose curcumin and increasing gradually. Curcumin supplements are advisable to be avoided in pregnancy and lactation. Due to its anti-platelet property, it is recommended to avoid curcumin in bleeding disorders. Overall curcumin is a safe compound and has minimal or no toxicity. 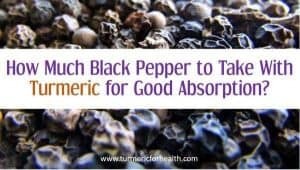 It serves as a safe alternative to many mainstream medications. Consult a health practitioner before taking curcumin supplements for appropriate dosage and formulation choice. 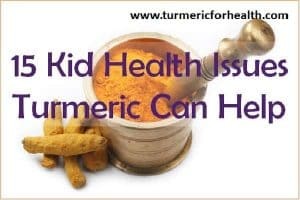 If you are not taking a curcumin supplement, but instead consume it in the form of “golden” turmeric paste, it seems to me you are saying there should be no problem if you are generally healthy. Correct? The dose is hard to calculate, but if 1 cup turmeric makes 32 oz of golden paste, then there would be 4 oz turmeric powder in 1 cup/8 oz. of paste. If the dose is 2 TBS of paste, and 2 TBS = 1 oz., please tell me if there is any risk of consuming 1-2 oz. organic turmeric per day, with freshly ground tellicherry pepper to make the curcumin more available. Given that the percentage of curcumin in ground turmeric, as you say, is 3-4%, is there any danger in consuming this amount on a daily basis? Thank you. Very interesting and fascinating topic! I’d like to know if theracurmin is recommended for young patients (very physically active) suffering from extreme muscular fatigue and pain, low physical endurance and inflammation as plantar fasciitis for example. Hi. Yes it is safe to use theracurmin for muscle fatigue and pain. By young patients if you mean above 18 then yes its safe and one would require an adult dose. Please confirm with the doctor as well. Hi Linda. Curcumin too helps in lowering blood pressure. However it is unlikely to cause a drug interaction unless you take it at the same time as taking BP meds. Please maintain a 3-4 hour gap between taking the two. Also if the blood pressure drop is so significant we would suggest discontinuing the use of curcumin supplement. 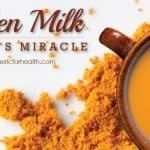 To me, turmeric/curcumin taste terrible, I’ve used it in fruit shakes & cooking. What are some suggestions for working with this issue besides lowering my dosage. I have rheumatoid arthritis and take methotrexate one day a week. You could consider adding 1 teaspoon of cinnamon to the entire batch if you are using Golden paste. This should help improve the flavor. Apart from that some readers do use silicon trays and freeze golden paste in it to form cubes or blobs which they swallow with water. 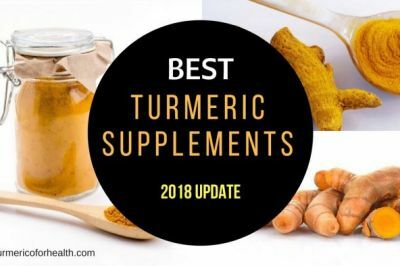 Lastly if you still don’t find these techniques helpful, you could opt for curcumin supplements where you don’t have to taste them and they are proven to help in rheumatoid arthritis. 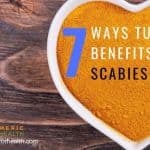 Avoid taking them close to the time of taking any medicine.